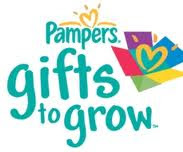 Get another 10 points in your Pampers Gifts To Grow account! I have over 2,600 points now...and am saving them up for something B*I*G! (Don't know what yet, but it will be big!) :) Here it is, I am not sure of the expiration date.